Salsa dancing is a dance style associated with the salsa style of music now popular worldwide. Salsa music has its origins sometime in the 1950s to 1970s, with the truly distinct salsa style coming out of New York in the 1970s. The music fuses a number of Cuban styles, particularly the son, but also draws from a number of other Latin American musical styles. Salsa dancing is done on eight-beat music, with dancers moving on three beats, pausing for one beat, dancing for three beats, and pausing for one beat. The movement style is left-right-left-pause, then right-left-right-pause. During the pause in most salsa dancing some sort of flourish is utilized, be it a stomp of the foot, casting out the hand or kicking the lower leg. Salsa dancing is mostly a stationary dance, with little movement around the dance floor. Instead, dancers rely on the subtle movement of their legs and upper bodies to convey the energy of the dance. In addition to the partnered movements of salsa dancing, dancers may integrate solo breaks known as shines into their routines. These are a way for salsa dancers to take a breather from an exhausting routine, or to gather themselves if their rhythm is broken. Shines involve lots of ornate movements and demonstrations of the body, and are intended as a way for a dancer to show off their full talent. While shines are in theory improvisational, there are many standard shines which dancers learn and can fall back on. If a dancer begins salsa dancing on the first beat of the phrase (left-right-left-pause), the style is known as on one. If the dancers begin their movement on the second beat of the phrase (pause-left-right-left), the style is known as on two. While proponents of a certain style have reasons for believing one is better than the other, ultimately it comes down to a matter of personal preference. In addition to the basic stylistic variations of on one and on two, there are a number of major schools of salsa dancing style. The main on one styles are LA style, Colombian style and Cuban style. The main on two styles are ballroom mamba, en clave and palladium two. Eddie Torres style combines the on one and on two styles by using the starting and pausing points of on one style, but having the body switch position where it would normally switch in the on two style. Salsa dancing is incredibly popular throughout Latin America and the United States, and is gaining popularity in Europe and elsewhere. 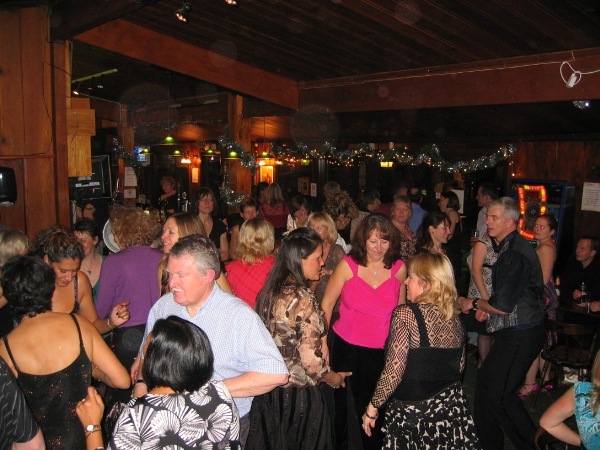 Many clubs specialize in salsa music and most towns offer classes in salsa dancing. While not the easiest dance form, because of its high tempo, is it not particularly difficult, and dancers of all skill levels should be able to gain proficiency within a matter of months. Q. What time does the class starts and how do get there? A. Class times can vary from venue to venue. See Lessons venues and location maps. Q. Can I just turn up without booking? A. No need to book. All you need to do is just turn up and have a big smile on your face:-). Q. Does it matter if I'm few minutes late for the class? A. Not at all. Usually Salsa classes run on Latino timing. That means that sometimes they don't start on time. Try to be there at the advertised time. See Lessons for times. This should give enough time to catch up with friends, get a drink and put on your dancing shoes. Q. Do I need a partner for the class? A. No because we regularly change partners. You will always get a chance to dance with another person and make new friends along the way. Q. How much does a class cost? A. Prices can vary from venue to venue. See Lessons for prices . Q. What footwear should I wear? A. Anything comfortable with closed heel. Flip-flops and trainers are not good and safe for Salsa. Perhaps is a good idea to bring a spare pair with you so you can see what suits you best. A. 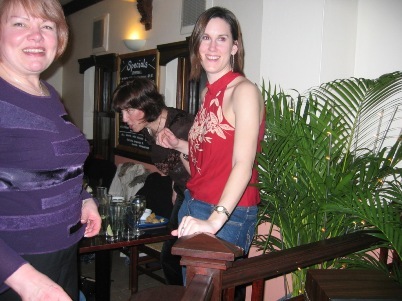 Clothes for Salsa and dancing in general varies from person to person. Try to be smart and comfortable. Bearing in mind that Salsa is an energetic dance and you may get quite hot. Q. I can't make it to my usual class, can I come along toanother one? A. Of course you can. Just turn up to the any of our venues at the class time that best suits you. Q. Does it matter if I can't make class one/two weeks? A. No, especially with the beginners class we will recap the basic steps/moves. 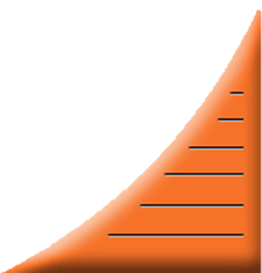 Once you are in different levels (improvers or advanced) you will have a good knowledge and you will find it easier to catch up. However like anything else regular attendance and practice is important for progress. Q. Can i bring my own drink? A. Some venues have a bar, so only drinks purchased at the venues are permitted. Where there is no bar then please feel free to bring your own drink. Also have a glass of wine before the class... trust me you will be much more relaxed ! Q. Is there sufficient parking? A. Most of our venues have parking but please check first where is the best place to park especially if you are not familiar with the area. Q. Is there an age or fitness limit? A. Not really. We do except older children and any fitness levels. However if you have a medical health condition please seek an advice from you doctor and always work at your own pace. Our classes are popular. Just turn up for a fun evening. With or without a partner, no previous experience is required. We teach salsa, cha-cha, merengue, bachata, bachata tango, kizomba and other latin street dances. Salsa classes and parties in Guildford, Woking, Camberley, Farnham, Churt, Fleet, Farnborough, Dorking, Claygate. 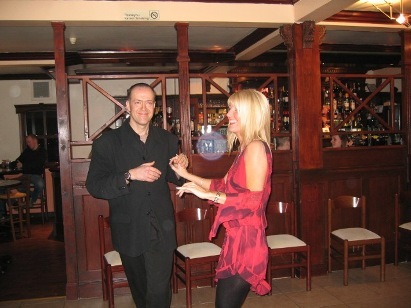 Also Kizomba and Bachata classes and parties in Surrey and Hampshire.